The November 10 jewelry auction at Christie's in Geneva doesn't just include a major noble tiara. 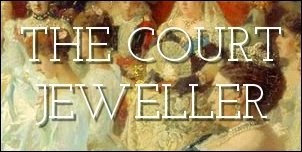 The sale also features several pieces of jewelry with royal provenances. Here's a look at some of the jewels on offer. 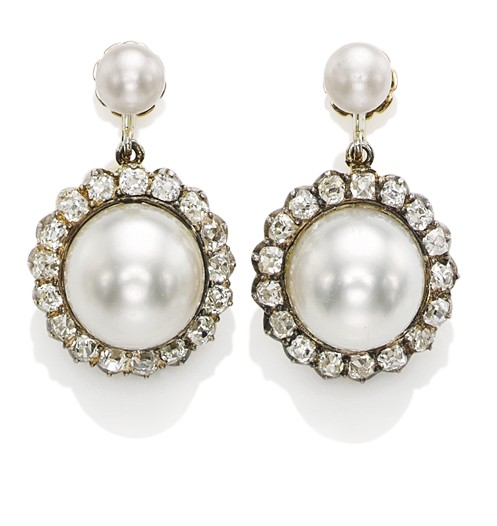 These nineteenth-century pearl earrings, which are set with large button-shaped natural saltwater pearl drops, also feature diamonds set in gold and silver. They belonged to Princess Josephine of Belgium, who was the sister of King Albert I of Belgium. 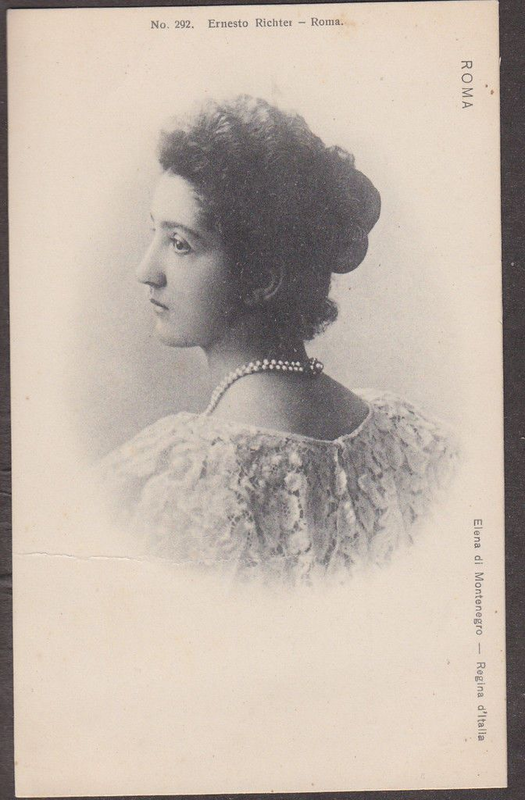 Princess Josephine (pictured wearing the earrings above) married Prince Karl Anton of Hohenzollern-Sigmaringen (a brother of King Ferdinand I of Romania) in 1894, and the auction notes for the earrings imply that they may have been among her wedding gifts. Josephine died in 1958; there's no indication of precisely how the earrings changed hands after her death or who is selling them now. Christie's estimates that the earrings will sell for between $48,000 and $68,000. The auction also includes a pair of pearl earrings (Lot #395) that belonged to Josephine's mother, the Countess of Flanders. This double-stranded pearl necklace originally belonged to Margherita of Savoy, the wife of King Umberto I of Italy. It's made of 95 natural saltwater pearls, and the two strands are joined by a clasp made of a single pearl and diamonds set in silver and gold. 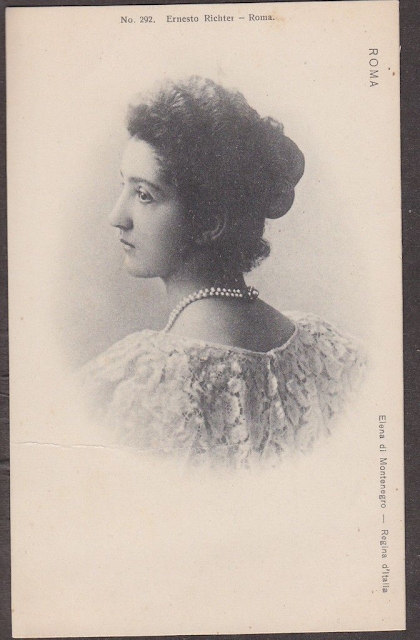 The chain of ownership offered by the auction catalogue goes as follows: Queen Margherita of Italy, who bequeathed the pearls to her daughter-in-law, Queen Elena (who wears them in the postcard pictured above). Elena left them to her youngest daughter, Princess Maria Francesca of Savoy, who died in 2001. She bequeathed the pearls to her daughter, Princess Chantal of Bourbon-Parma, who appears to be the person who has put them up for sale. 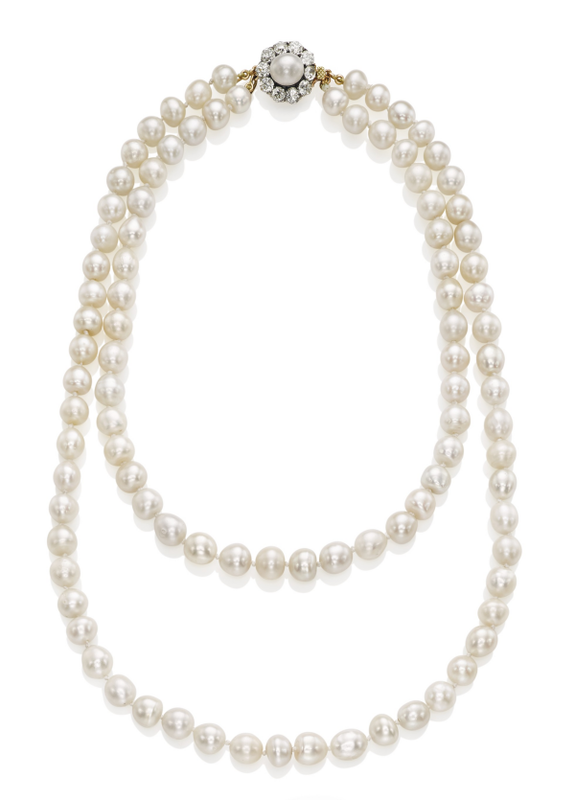 Christie's expects the pearls to sell for a whopping $500,000-700,000. And now, for the big one: the diamond and emerald necklace that belonged to Princess Hélène of Orléans, Duchess of Aosta. The necklace was made around 1810; the auction notes highlight similarities between the necklace and other French imperial jewels made by Nitot and Bapst. 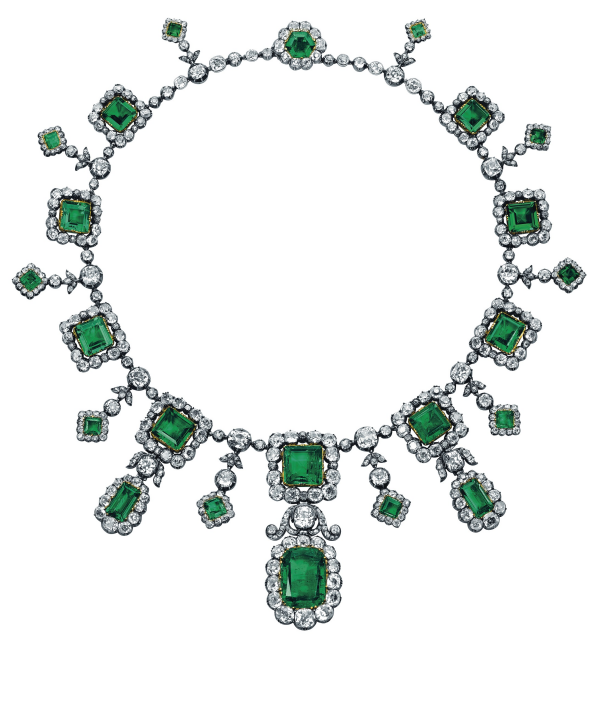 The notes especially point out the resemblance between parts of the necklace and the grand emerald necklace now owned by the Norwegian royals. The piece features Colombian emeralds interspersed with diamonds and is set in gold and silver. 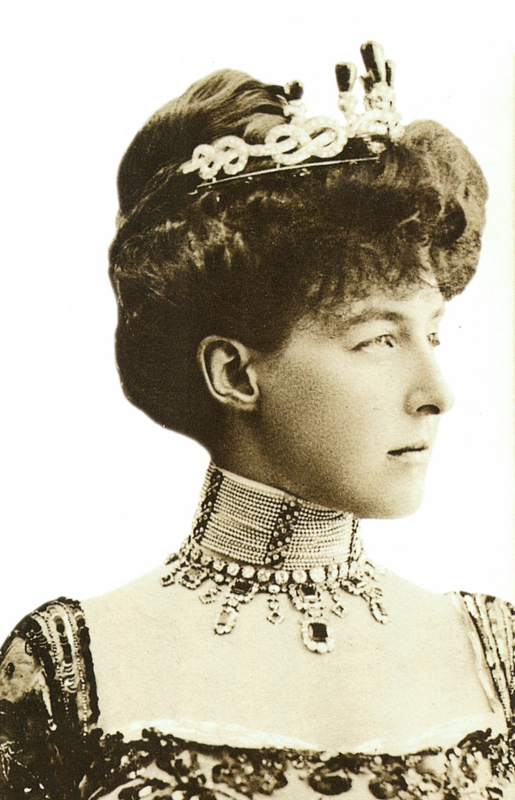 The necklace was a gift to Princess Hélène on her marriage to Prince Emanuele Filiberto, 2nd Duke of Aosta in 1895. The gifter was Helene's godfather, Prince Henri of Orléans, Duke of Aumale; he was a noted art and jewelry collector. 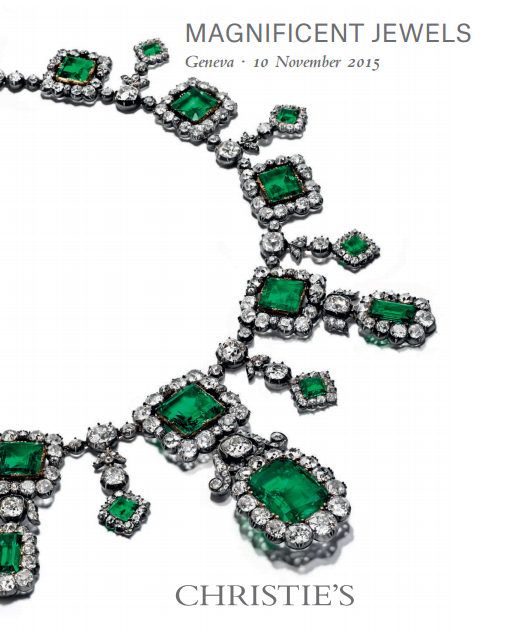 Henri also gave Hélène a coordinating diamond and emerald tiara; that jewel is not in this sale. 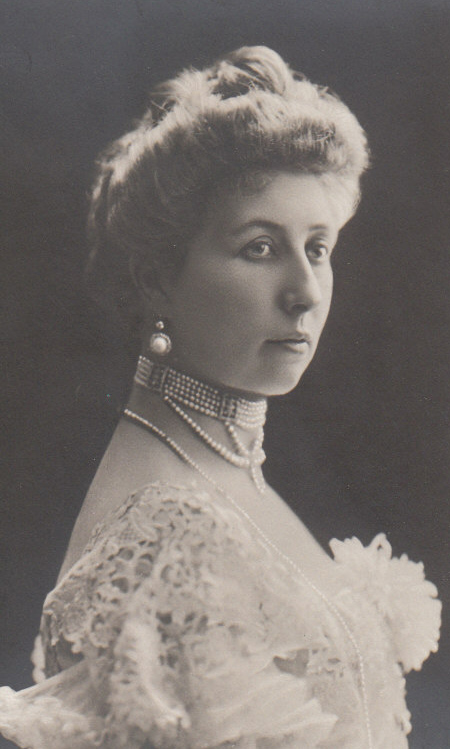 (Hélène wears both the necklace and the tiara in the portrait above.) At some point after World War I, the necklace was acquired by the 5th Marquess of Cholmondeley. It was worn by his glamorous wife, Sybil Sassoon. (Trivia: the actor Jack Huston is their great-grandson.) After Sybil's death, the necklace was auctioned at Christie's in London. A quarter century later, the necklace is for sale again; this time around, Christie's expects it to fetch between $1.5 million and $2.5 million.